Thank you for taking the time to visit our site. In this section you will find information about the members of the Governing Body, the work that we do and how the school is Governed. The School Governing Body is comprised of people from a range of backgrounds reflecting both the foundation under which the school was created (i.e. The Church of England) as well as the community that the school serves. The current members of the Governing Body can be found below. 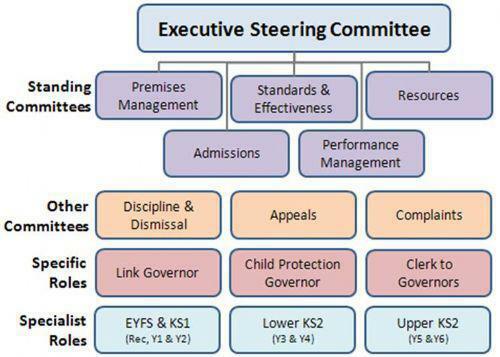 The Governing Body has an instrument of government which sets out how the school will be led and governed. The school has a trust deed dating back to 1846. "Recognising its historic foundation, the school will preserve and develop its religious character in accordance with the principles of the Church of England and in partnership with the Church at parish and diocesan level. The school aims to serve its community by providing an education of the highest quality within the context of Christian belief and practice. It encourages an understanding of the meaning and significance of faith, and promotes Christian values through the experience it offers to all its pupils." 1 of which will be the officiating minister at Coppull Parish Church (ex-officio), 3 will be nominated by the Parochial Church Council of Coppull Parish Church and 3 will be nominated by the Diocesan Board of Education at Blackburn Diocese. The School Governing Body is responsible for working with the school to ensure that it delivers a good quality education, built upon the Christian values, that provides opportunities for all. Setting and monitoring the school's aims, policies and improvement strategies/plans.